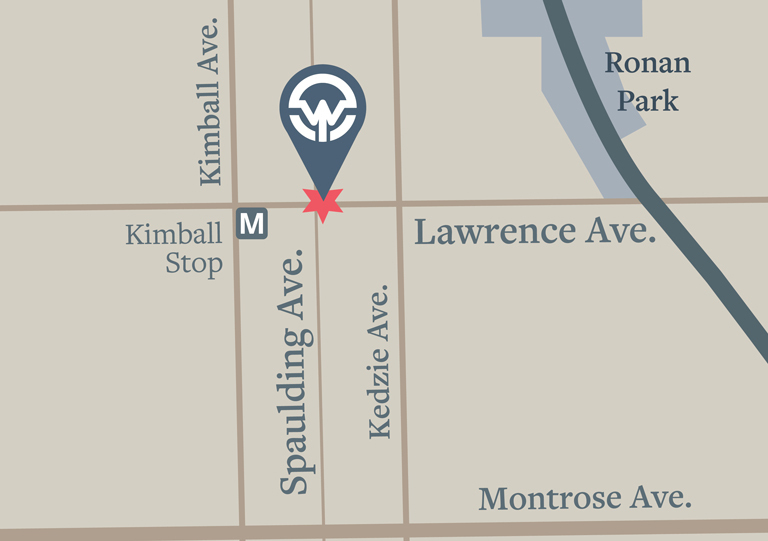 We are happy to announce Tailwind Cycles as the exclusive Kind Human fit center in Chicago! We delivered our first bike to a customer this week, a Kampionne aero road bike. 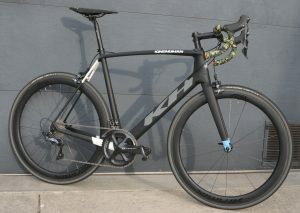 The Kampionne is impressive as a race bike, and this one will see service on the local circuit. It’s aero tubing shapes, light weight, and unidirectional, precision-tuned carbon fiber frame construction combine to make a bike that will be great on a breakaway while also being stiff enough to be efficient in a sprint. That is a perfect combination for racing in the Chicago area. 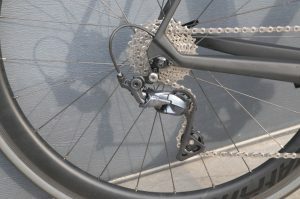 We went with a Shimano Ultegra R8000 group for this bike with standard 52/39 chaingrings. The cranks got a Stages left crank arm power meter upgrade and Look Keo Max2 pedals installed. 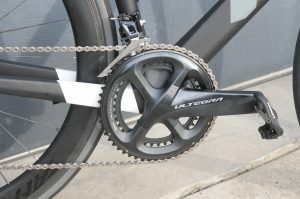 We did an Ultegra 11-28 cassette to stick with a standard road racing setup. The customer had a nice set of Carbon wheels with Vittoria Corsa tires, which matched the bike perfectly. 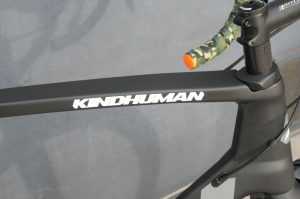 You can choose to order any Kindhuman bike without wheels if you already have a set you want to transfer over. We really like the look of the brake bridge and seat stays. 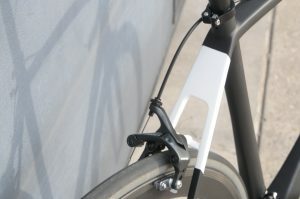 The Kampionne uses the shape of this junction along with a 27.2mm seatpost to bring some comfort to an otherwise very stiff and responsive frame. Our customer stuck with the stock matte-black paintjob, which we think is beautiful. If you would like some color on your bike though you can pick from more than 20 stock colors in either matte or gloss finish. For an additional $250 charge, they will paint your bike any other non-stock color you would like. All paintwork is done in Kindhuman’s facility in Canada. Come in to the shop and talk to us if you are interested in a Kindhuman road, cyclocross, or gravel bike. We can answer any questions and if you are ready to order one we can get your fit dialed.